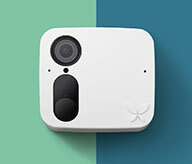 Does Ooma Smart Cam offer cloud storage? 1. Every camera comes with 7 days of free cloud storage. 2. 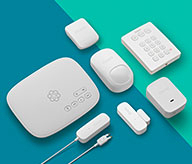 The Home Secure Plan comes with 30 days of unlimited cloud storage for $9.99/month per account (your price will not change as you add more cameras to the same account). Or you can opt for $99.99/year, effectively saving 2 months worth of billing. 3. The Home Secure Single Camera Plan is for users with only 1 camera paired to an account. The monthly fee is only $4.99/month and users will receive 30 days of unlimited cloud storage. 4. The Business Secure Plan comes with 90 days of unlimited cloud storage for $29.99/month per account (you are allowed 6 cameras per account). Or you can opt for $299.99/year, effectively saving 2 months worth of billing. All Ooma security cameras are also equipped with 16GB of local (in-camera) storage for many hours of coverage. In the event of a weak signal or internet outage, important events will still be recorded. There is no extra charge for local (in-camera) storage. In addition to storage, the Ooma Smart Cam comes with other premium features. For a detailed list, please visit our home security camera subscription plans page.